Christopher Wense, a former steel mill worker and current NCERC employee, is the 2018 student scholarship recipient and will attend the Renewable Fuels Association’s National Ethanol Conference in San Antonio on February 12-14. RFA and the Renewable Fuels Foundation scholarship provides students enrolled in higher education with complimentary registration to the conference, giving scholarship recipients the chance to connect with hundreds of leaders, policymakers, and experts associated with the renewable fuel industry. Wense is currently pursuing a bachelor’s degree in Industrial Management and Applied Engineering at Southern Illinois University in Carbondale, IL. Wense also shared his story in an op-ed featured in The St. Louis Post-Dispatch, printed on January 18. 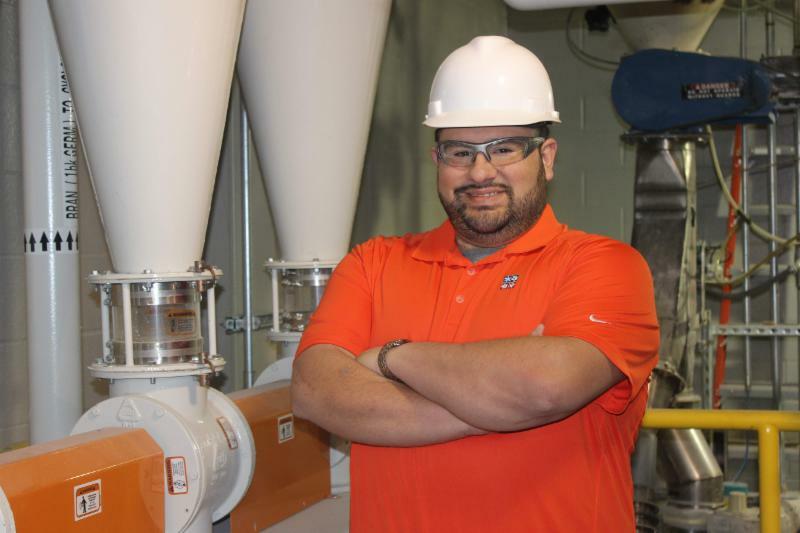 The op-ed, Strong future ahead for US ethanol industry, describes Wense's experience after he was laid of from US Steel in Granite City and found opportunity in the ethanol industry. NCERC finished the second half of a Fermentation Suite run, which was to test a high-temperature cellulase enzyme system produced at NCERC by using it to hydrolyze cellulose in dilute-acid pretreated wet cake, and to provide science, engineering, and marketing students with a “hands on” experience in a biotechnology and bioprocessing environment. NCERC participated in ASTM E48 task group (in situ sample collection) on developing a guidance document for the management of the standard error associated with the sampling and testing of heterogeneous substrates. NCERC collaborated with Shimadzu to install Labsite on the HPLC control computer, in order to monitor HPLC data collection and retrieve with internet access. NCERC also invited Shimadzu to give a HPLC training seminar on the campus of SIUE. NCERC collaborated with the Department of Chemistry at SIUE to identify and quantify nutritional compounds in corn to ethanol fermentation product using LC/MS/MS, and in hope to present the results at the American Society of Mass Spectrometry, Distiller’s Grains Technology Council and Fuel Ethanol Workshop. NCERC assisted the National Institute of Standards and Technology in producing reference material for testing starch in corn to ethanol fermentation products. NCERC is working with the Department of Chemistry at SIUE to hire a joint faculty (assistant professor in fermentation). NCERC submitted two proposals to the Excellence in Undergraduate Education Call for Proposals for FY2019. If funded, this proposal will establish a Mass Communications course for science and social science students at the NCERC and would feature collaborative, team-based learning in a technical setting. If funded, this proposal would build upon the Building Illinois Bioeconomy Consortium's efforts and other SIUE efforts to bring PLA to SIUE and help position SIUE as an adult learner serving campus. The purpose of the EUE program is to fund innovative projects that will have broad and sustaining impact on undergraduate education. NCERC submitted a proposal to the 2018 call for proposals titled, "Solving the Equality Equation: Hands-On Workshop in STEM". 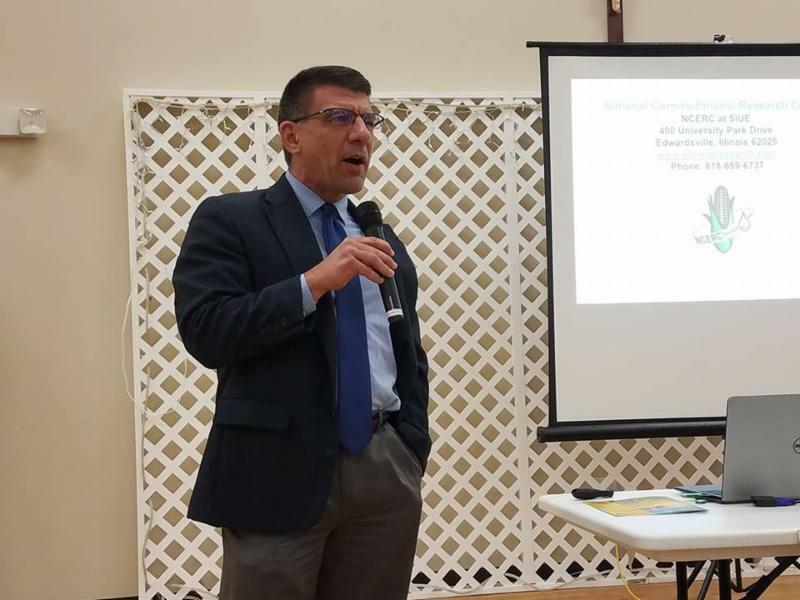 If funded, NCERC will host a biofuels workshop for the Girl Scouts of Southern Illinois and Coordinated Youth and Human Services' Educational Enhancement Program, which serves at-risk youth in Madison and St. Clair County. NCERC Executive Director, John Caupert, presents as the Keynote Speaker at the 25th Annual Meeting of the Mon-Clair County Corn Growers.